A friend mentioned that the Aztec ceremonial calendar of 260 days might be based on the zenithal passage of the sun at some particular latitude. I calculated: 260 calendar days / 365.25 solar days = 0.7118 of the annual cycle X 93.6 degrees per year (back and forth between the Tropics) = 66.62834 X .5 = 33.3142 degrees – 23.4 from Tropic of Capricorn to Equator = 9.9142 degrees N (9o 54’ 51”). I was surprised that this latitude runs through Costa Rica. Reading the book “Cycles of the Sun, Mysteries of the Moon” by Vincent H. Malmström (University of Texas Press, 1997), I was even more surprised that the professor of geography announced the latitude as 14.8 degrees N, without showing calculations. He then identified the pre-Olmec site of Izapa as where the calendar was probably invented. By my count, at 14.8 degrees N, the southern lap of the sun’s cycle lasts about 297 days. That’s way off. Let’s assume that the invention of the calendar happened 1400—1100 BC to allow time for it to get to Izapa and, as Malmström so reasonably proposes, cross over the Isthmus of Tehuantepec into the early Olmec area. But there were pre-Olmec cultures all along the Pacific coast from Mexico through Guatemala, El Salvador, Honduras, Nicaragua, and down into Costa Rica. As a matter of fact, in Costa Rica the Las Mercedes site (from 1500 BC) lies on the slope of the (active) Turrialba volcano at 10.167 degrees N. It’s worth noting that Turrialba’s peak is at 10.01 degrees N, so Las Mercedes is directly east, which would make for a huge gnomon. Now I read in “The Art of Mesoamerica” by Mary Ellen Miller (Third Edition, Thames & Hudson, 2001) that the unworkable Izapa proposition has survived in scholarship for at least four more years. But this author proposes the human nine-month birth cycle as more likely. I calculate 9 x 30 days = 270—close but no cigar, and too variable. Miller argues that a zenithal source of the ceremonial count “seems an unlikely basis for a calendar first recorded to the north of the 15-degree latitude.” Given the astronomical bent of the ancients, I’d say it’s an exquisitely likely basis for a calendar, whenever or wherever first conceived or recorded. IF the 260-day ceremonial calendar was based on the sun’s zenithal passage, THEN it must have been invented at a latitude where that time period obtained—approximately 9.9 degrees. That latitude also runs along the Caribbean across the northern sections of Colombia and Venezuela, but there don’t seem to be any significant culture sites in those areas from appropriate times. If not in Costa Rica, then how about at 9.9142 degrees South? That imaginary line runs across the Amazon basin just slightly north of the Beni region in Brazil and Bolivia —which by the way hosted an enormous hydrological culture from 4000 BC to 1300 AD(!). Though they built canals, causeways, raised fields and living sites, we essentially know nothing about them. 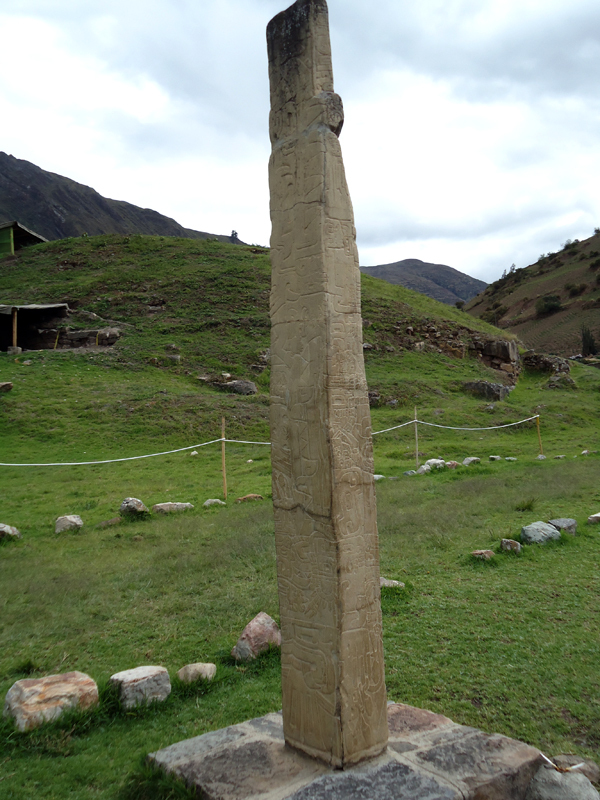 That latitude also crosses the Andes in Peru, running right through Chavín de Huantar in the Ancash valley. It was the main site of the earliest South American civilization (1200—400 BC), which occupied many other sites in the region and along the coast. Other sites were even older though, like El Paraíso (2500—1100 BC). But the Chavín culture was the first to produce distinctive art and ceremonial architecture, specifically truncated pyramids. Chavín de Huantar lies directly east of an Andean peak which again could serve as a magnificent gnomon. 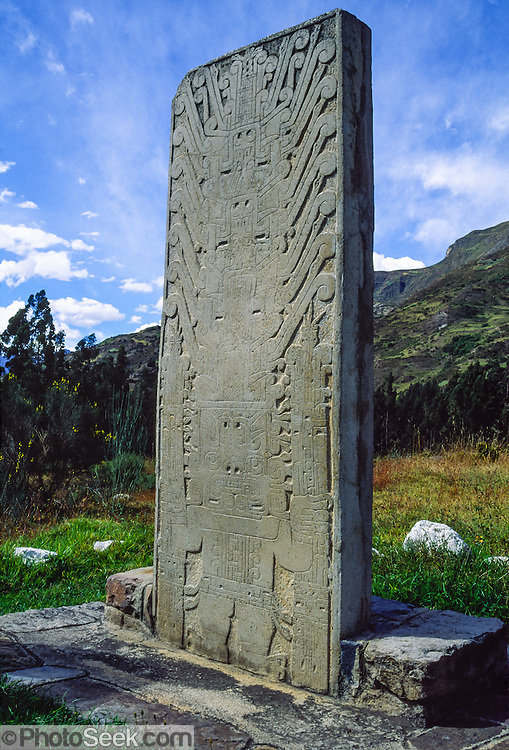 Significantly, there are many obelisk– and slab-shaped stelae/gnomons at the site, the main one being the Lanzon stela, a 15+-foot stone spire with wonderful decorative carvings. It stands within a pit in the “temple” and extends up through a hole in the roof, a foolproof way to demonstrate the exact zenithal passage of the sun. By the way, the figure carved on the stela points eloquently upward with one hand and downward with the other. Of course, this site’s 260 days between the sun’s passages are on its northern lap between the Tropics. I propose that Chavín de Huantar was the birthplace of the 260-day calendar, which probably was what caused its rise in ceremonial importance around 1200 BC, turning it into the cultural and religious hub of that first civilization and a destination for pilgrimages and rituals. Even though no archaeological traces of a 260-day calendar have been found amongst these non-literate Andean civilizations, they may well have observed it religiously alongside the solar calendar, which is precisely how it worked later in Mexico. And it got to Mexico by sea. The Chavín and other even earlier Pacific coastal cultures were accomplished sea-faring folk using balsa-wood rafts and boats. (Balsa trees grow all along the coasts of South and Central America.) There was a lot of maritime activity, trade, and exchange among the various cultures long before the Chavín. In the dim past maize was brought from Mexico to the Andes, and the art of metal-working passed in the opposite direction. The Pacific coast from western Mexico down to northern Chile was one enormous “economic zone” of productive ecologies between sea and mountains. The Chavín were the first efflorescence of those cultures (fertilized by contacts with the Beni? ), and wherever they went, they understandably preached their religious calendar. 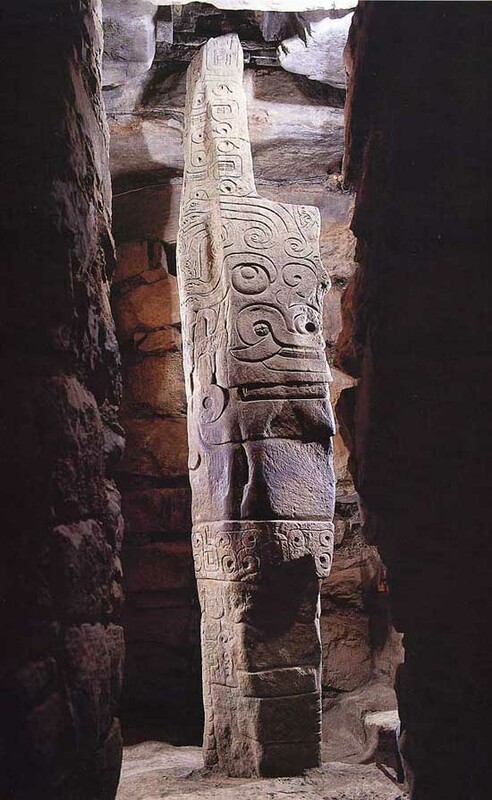 Besides the calendar, the Chavín spread other concepts of their culture and art all along the coast. 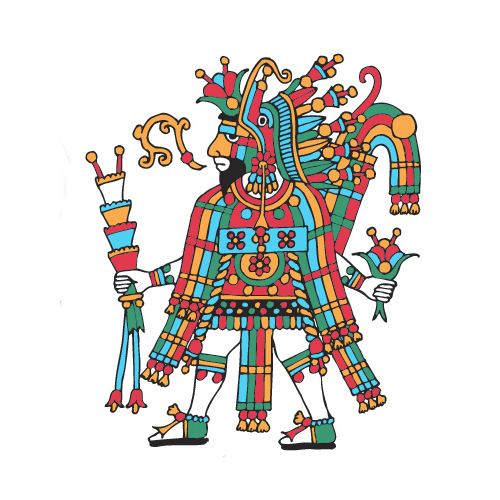 Their pyramids and intricate figures and motifs of jaguars, caimans, and serpents bear a distinct resemblance to the architecture, themes, and imagery of the later Maya and other Mexican cultures. 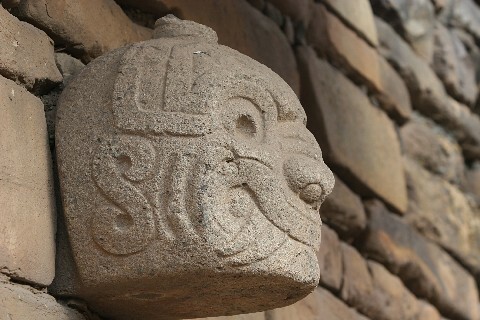 The Chavín anthropomorphic jaguar and truncated pyramid must surely have accompanied the ceremonial calendar across the Isthmus of Tehuantepec to inspire the Olmec—and subsequent Mesoamerican cultures. Realizing that folks only listen to flattery and fantasy concerning and confirming themselves, I only rarely spout off about my perceptions of the inanities and insanities of modern life. But on occasion, I hear someone say something so surreally irrational that I can’t let it pass without comment, though my little squeaks will probably fall on deaf ears. 1) Why should a legislature look for a way to do anything to the sole benefit of a specific group? Especially a religious group which is by definition legally irrelevant. Even more especially when that benefit is to the patent detriment of another constituency, and triply especially when that benefit would be a gross exemption from the law. 2) Why do they plead freedom of religion as their constitutional motivation when others have the same freedom? That freedom doesn’t allow you to compel anyone else to conform to your personal beliefs—or you to theirs—or to punish each other for not doing so. 3) Why should a faith-based community feel it needs protection from another belief system? The threat of temptation? Any faith has to deal with that fact of life. If it can’t resist temptation, the faith has no strength beyond dogma. Or is the community’s faith so weak that it requires mass confirmation? No dissent, no differing opinions. Welcome back to the Inquisition. Hello, ISIS. 4) Why should another belief system be seen as an affront to or offense against one’s own religion? And so what if it is? You’re perfectly free to be offended by whatever you want. Deal with it. Sulk and pout. But you’re not free to intentionally offend or injure anyone else in supposed defense (or support) of your personal scruples. Or to be exempt from the law. Just look at Mississippi too! So now garbage men can refuse to pick up the trash from someone they don’t approve of on religious grounds? A doctor can refuse to treat? Restaurant refuse to serve? This is hateful idiocracy! I’m proud of our Santa Fe Mayor Javier Gonzales for speaking out against the idiots.